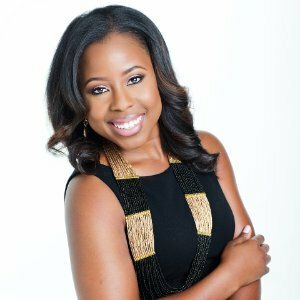 Carlisha Williams Bradley is an acclaimed philanthropic leader, U.S. Goodwill Ambassador, educator and social enterprise consultant. Carlisha lends her spirit, expertise and voice as an advocate for women and girls worldwide as the founder of Women Empowering Nations (WEN), a nonprofit devoted to the educational and leadership development of girls. international education programming experts in the country. She has served as a trusted voice and advisor to various international aid organizations, non-­profit agencies, schools, foreign governments and diplomats around the globe. With her consultancy, Passion Meets Purpose, she is calling other destiny-driven entrepreneurs to follow in her well-heeled footsteps and be the change. Her company arms clients with the training and tools to build brands and platforms rooted in a passion for a better reality, the power to impact and a path to leave a legacy stamp on the world. Carlisha has been recognized for her remarkable work and continuous commitment to change with numerous awards including 2017 Oklahoma Magazine 40 Under 40, 2016 Mayor’s Pinnacle Women of Year, 2015 Status of Women, 2014 YWCA’s 100 Women with Moxie and the 2013 Williams Women of Inspiration Award. Click here to download Carlisha’s Full Speaker’s Kit.